A recent report revealed that travel to Europe is at its most affordable in years. For business and leisure alike, Europe has consistently been one of the priciest continents to to visit. However, things have been taking a turn for the affordable as of late, due largely to the growing strength of the U.S. dollar compared to the weakening Euro. While this is bad news for the EU's economy, it means cost savings for American travelers. As Business Insider revealed, an independent travel research report has confirmed that travel to Europe this summer will be at its cheapest in years. 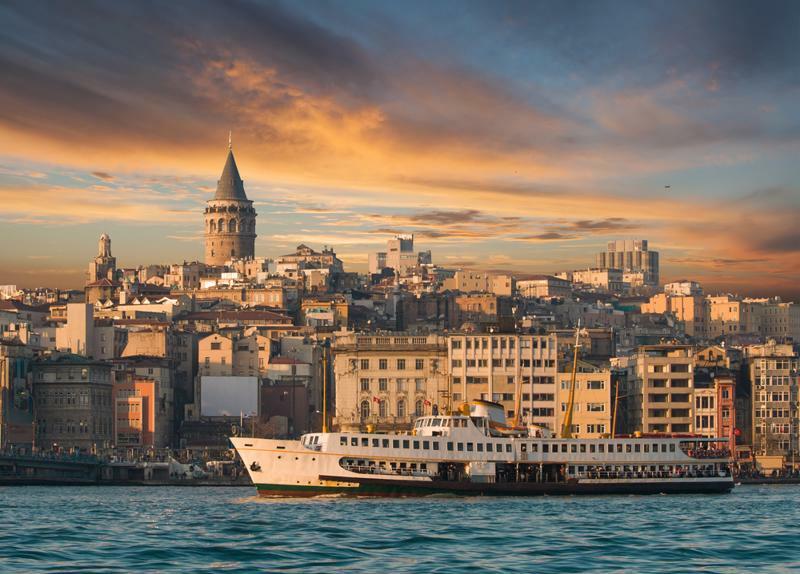 The least expensive European spot to visit this summer is Turkey's biggest city and cultural heart, Istanbul. It's not a huge surprise, considering that the metropolis has been rapidly growing in popularity thanks to its unique mixture of antiquity and modernity, as well as the city's recent efforts to spur the local tourism industry. On average, a one-week trip will cost you $1,877.38, which is a 25 percent price decrease compared to summer 2014. The average cost of a round-trip flight from the U.S. is $1,197, while the per-night average hotel rate is a mere $97. Istanbul took the No. 1 spot for most affordable European travel destination for summer 2015. Another top contender for Europe's most affordable major city, Bucharest, is the beloved Romanian capital. The destination has managed to transform its bad reputation for hostility into global notoriety for hospitality The outcome has been a booming tourism industry that can cater to a larger volume of tourists and allows for more affordable rates. As the report revealed, the cost of a seven-day trip to Bucharest is on average $1,894.15, including airfare and hotel. That's 16 percent cheaper than last year. "Krakow attracts visitors with its mountain view and Medieval architecture." Well known as one of Poland's most historic cities, Krakow attracts visitors with its Carpathian Mountain view and Medieval architecture. In fact, it's one of the country's top tourist destinations and has long had a reputation as an affordable vacation spot. Still, the price of visiting has seen a drop this year. A one-week trip to Krakow will run you $1983.88 on average, a 5 percent from 2014. A word to the wise: Save your trip to Moscow for another year, as this destination is the only one surveyed to have an increase in travel costs. The price of a seven-day hotel stay with round-trip airfare is $2,275.10, which is 8 percent higher than last year.